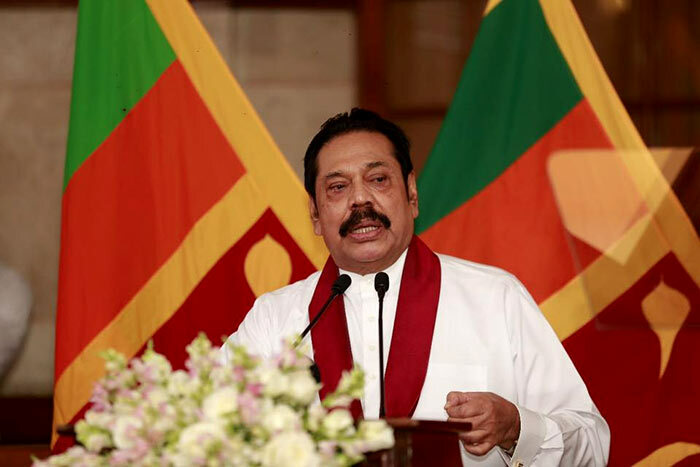 Prime Minister Mahinda Rajapaksa issuing a special statement today (25) requested the public to show him support like they did during the war times. A UNP led government was formed only on the basis of an agreement entered into with a group of UPFA Parliamentarians. The UPFA group left the government on the 26th October. Thereafter several UNP Parliamentarians joined our ranks. Today, I am the leader of the largest group of MPs in Parliament. After the parliamentary elections of 1994, 2001 and 2004, Presidents D.B.Wijetunga and Chandrika Kumaratunga who held office at that time, invited the largest group in Parliament to form a government. On that basis, governments were formed by the People’s Alliance in 1994, the UNP in 2001 and the UPFA in 2004. Let the investigations against you and your supporters begun by Ranil, Sirisena etc. continue to the conclusion without obstacle or change of personnel. Then if those made allegations and cannot prove them in the court made pay the cost to the SL public purse by their own wealth. If proven, please leave the public service. Otherwise, hold a general election ASAP, follow the vision you have for SL and lead us to stand on our feet without taking orders from all around the world, keeping the nasty people made you rejected by the public during the presidential election.